Do you have any idea how many sewing tools there are out there? Better yet, do you know what are the best sewing tools notions and equipment? When I first started sewing I had a major issue with figuring out exactly what tool does what and how I can use it to its full potential. This is why I’ve put together this list of sewing tools that contains no less than 82 items that will eventually help you out. How else are you supposed to measure everything and know where to cut and where to sew? Transparent rulers are the best thing you could hope for in terms of straight vertical and horizontal lines. They are highly functional and varied. You just need to know how to pick the right one! No matter of the measuring system that you’re working with, a tape measure will always come in handy. 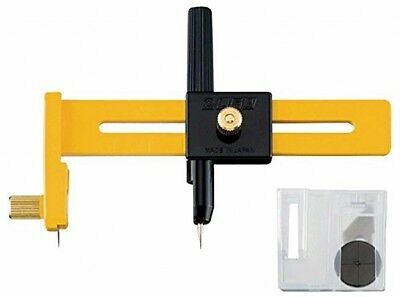 It’s probably one of the most basic items when it comes to sewing measuring tools and that is why it has found its way on my list of sewing notions. Although it needs no additional details, you can find out more about it here. This is one of the most amazing multi – purpose sewing tools. You can use it for marking and measuring hem allowances, button sizes, button placement, pleats and tucks. Additionally it can be used to draw circles or as a point turner. 4. T–Squares Can Square Everything Out For You! If you want to have accurate cuts and perfect corners on larger projects such as home décor ones then a T – square ruler is everything you need. It will help you to perfectly measure and properly cut the fabric just like a pro. 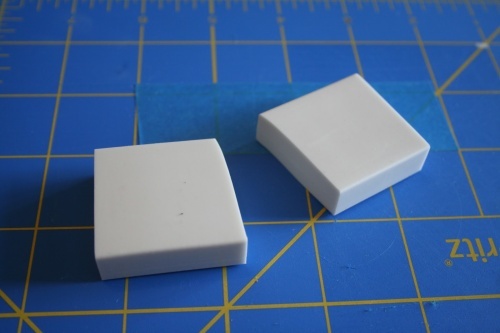 Of course, you can make your own T – square, just like they did here. If you are interested in making your own patterns then a hip curve shouldn’t miss from your set of tools. It can not only correct but also smooth pattern lines so that the garments you make are perfectly finished and professionally made. Here’s how you can use a hip curve to its full potential. A yardstick is a pretty straightforward tool and one of the most basic ones you will have a chance to come across in your sewing projects. It allows you to measure lengths up to a yard. As it turns out, give its flat surface you will be able to use it not only for measuring but for marking as well. When it comes to marking different types of fabrics there are plenty of tools to use, but I personally believe that pens are the best option out there. I always prefer to use water soluble or disappearing ink pens when the fabric allows it, even though some people complain that they disappear too fast. Pencils are no longer so popular when it comes to fabric marking but I had to include them on the list given their long history. It is quite complicated to find a high quality marking pencil nowadays, but if you do, it’s totally worth it! You simply can’t use a marking pencil without also having a pencil sharpener in reach. In fact, given the poor quality of pencils you might end up using the sharpener more often than the pencil itself. I personally like tailor’s chalk a lot more than pencils. When it comes to fabric marking, it is very easy to use and it washes out right away. The only thing is that it does not work on all types of fabric and you might need some alternative marking methods as well. Taking on projects that require you to work on design obviously means that you also need to own at least a pair of reliable scissors. These are easy to find and, with the right skills, very easy to use. Shears are basically just scissors that are more suitable for cutting fabric because the blades lie flat on the cutting surface. This allows you to make straight cuts a lot easier. These are ideal if you are making clothes from scratch! They are basically shears that have a serrated blade that can cut zigzag edges in the fabric so it does not fray. There is no other fabric cutting tool that can deal with the issue of fraying fabrics. In sewing, just like in any other activity there is, mistakes often occur. This is why you should always have a seam ripper somewhere in reach so that you can undo the seam and work twice as hard to do it better the second time. For those of you who can’t handle scissors and cut in straight line, there is a much simpler solution: rotary cutters. This straightforward tool can help you not only cut in straight lines, but cut multiple layers of fabric as well. This accessory is usually used more in quilting than in sewing but it is a rather important tool that can help you out in your projects. It basically provides s flat and stable cutting surface that you can use when operating a rotary cutter. This is actually a self – explanatory piece of equipment that you probably already have around the house. You should never underestimate the importance of dealing with perfectly ironed fabrics for a neat and clean design. Yet another self – explanatory item that you are going to use in your sewing adventures is the ironing board. It is obvious that it will help you properly stretch and iron the fabric or even the finished product! 19. Hams, Not As Delicious As You Might Think! No, I’m not talking about the type of ham that you eat, although that’s where it got the name. Sewing hams are also used in sewing for pressing and ironing, especially sleeves and collars. In my opinion pressing cloths are imperative in order to avoid shiny spots, scorching and even stains. The iron doesn’t come into contact with the fabric and that obviously saves you a lot of trouble. This type of iron actually does look a lot smarter than a regular one. It stands up on its own when you let go and it is capable of ironing even the most difficult to iron fabrics. The mini iron is not necessarily an indispensable piece of equipment, but if you are the type that wants to own every single tool and accessory then you should get one. It is ideal for those hard to reach places! The water sprayer will come in handy if you don’t have a steam iron. It will help you iron the fabrics a lot faster and with a lot less effort. 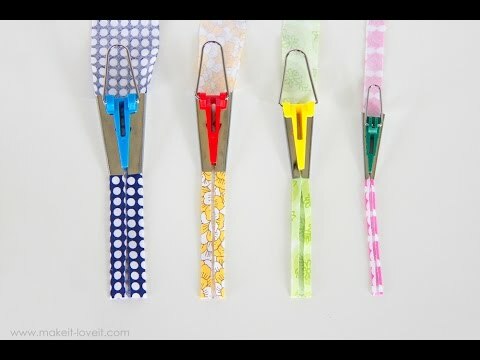 The folding pen is a tool that makes folding fabric a lot easier. It saves you from having to use the iron on this job and it is surprisingly affordable. If you own a sewing machine or are thinking about buying one then you certainly need to stock up on sewing machine needles. There are different types and different shapes that you can look into in order to make the right choice. For those of you are not particularly lazy and don’t mind hand sewing, hand sewing needles are certainly a must have. They also come in different shapes and sizes and everybody knows how to use them (hopefully)! If you are having trouble with getting the thread through the needle then a needle threader might be a life saver. It basically reduces this task completely so that you can get to sewing without having a hard time. This should have probably been at the top of my list because what else are you supposed to sew with other than with a thread and needle? Here’s how to choose the best sewing thread! I always like to get colorful pins because I feel like they brighten every project and even my work area. They are used to temporarily hold fabric in place and they are among the most useful sewing notions that you could have. Pincushions are incredibly useful because they basically keep your pins together and keep you safe from getting hurt or from finding them in the most inappropriate places. The best thing about them is the fact that you can DIY them. Thimbles are an amazing sewing notion because they make sure that your fingers are taken care of while hand sewing. This is basically the best way to avoid any unpleasant accidents and make your job a lot easier. Pattern weights serve as an alternative way of keeping the fabric in place so that you can cut it as accurately as possible. They are ideal if you want to avoid pins and you can even make them yourself. I personally believe that tweezers are amazing and indispensable not only when sewing, but when it comes to quilting and crafts in general as well. When it comes to the best sewing tools notions and equipment, they are a multi – purpose tool and can certainly get you out of some quite tight situations. When sewing, regardless if you are doing it with a sewing machine or with your own two hands, there is a lot of thread and lint involved in the entire process. This exactly why you need a lint roller, to get rid of anything that is not supposed to be on the finished product! If you ever thought that binder clips are exclusively designed for office use then you were mistaken. They can easily work for holding fabric in place, just like pattern weights and pins and they can also help in keeping your work space neat and organized. 36. Masking Tape For Some Amazing Sewing Tricks! As it turns out, masking tape has plenty of uses in sewing. You just need to know what tricks to apply and how to use it properly. Some of its more common uses are lengthening pattern pieces, making bias strips and serving as a seam guide on your sewing machine. Believe it or not, in sewing all you need is a little bit of creativity so that you can save up a lot of money. For instance, projects that require round elastic can easily be done by using simple and accessible ponytail holders. Additionally, they are great for keeping sewing machine bobbins from unwinding. I bet there have been plenty of times when you felt like adding a little bit of something extra to the finished product. Well, in order to do that you only need a bit of fabric glue. As a matter of fact, chopsticks are quite a popular sewing notion as they are ideal for turning inside – out corners. They can also be used to give the fabric the desired shape without burning your fingers with the iron. This carbon paper is very similar to the one we are used from filling out forms. The only difference is that you do not imprint your writing on another piece of paper, but you imprint the desired design to the fabric. Here’s how to do that! If you have shaky hands or if you simply want to save some time while designing and working with various patterns then the sewing wheel is exactly what you need. Just like a carpenter or a plumber keep their tools in a box you should also have a place where to put all the threads, needles, thimbles and other accessories. Just make sure to keep it well organized. The thing with emery bags as opposed to regular pincushions is the fact that they are able to not only remove rust from your pins and needles, but keep them incredibly sharp as well. Beeswax can, without a doubt, make things a lot less tangled than they have to be when sewing. It strengthens the thread and it keeps it from making annoying knots. If you are not so big on making perfect folds and creases in the fabric when the design calls for it then you might want to consider using a hem gauge. When it comes to designing clothes and working with fabric that you are responsible for cutting, a cutting board or a large table should certainly be in your arsenal of tools and accessories. It is probably the most basic type of sewing furniture and it will certainly come in useful! If you have ever been working around the clock just to get a project done in time and wished that you had an extra set of hands then you should have used some textile adhesive and made your work a lot easier. Safety pins are incredibly popular and so useful for anyone who is into crafts in general, not only into sewing. They are ideal for keeping fabric in place and they also work wonders for last minute touchups. I have already mentioned cutting mats somewhere in this list but I personally believe that the self – healing ones are much better simply because they last longer and have the potential of saving you a lot of money on the long run. Bodkins are very similar to tweezers and they are very useful when you are trying to pull something such as a ribbon or a piece of elastic through a casing. Although they are not particularly popular, elastic threaders are incredibly useful for anyone passionate about designing clothes. They basically help you thread elastic through fabric loops or casings, especially when it comes to waistbands and drawstrings. This fantastic tool can be used in a lot of ways and can replace many accessories that you might already have in your sewing kit. Its basic function is that of puncturing holes in various fabrics, especially in heavier ones like leather, but it can also be used to undo stitches. If you are big on working with wool or other fuzzy fabrics then a fabric comb will certainly come in handy as it can make everything look smooth and neat. Fabric brushes are very useful, especially if you are quite messy and leave small pieces of thread and lint on the fabric. This tool will help you get rid of all the things that should not be on the finished product. We all know that mohair is a high maintenance type of fabric. That is exactly why you need to have one of these brushes available if you work with it often. It makes the finished product look fluffy and cute. Any fabric cylinder that needs to be turned inside out can give anyone a headache if they don’t use the right tools. A loop turner is precisely built to help you do that in two easy and simple steps. If you worked hard on a project with delicate fabrics it would honestly be a shame for the finished product to get ruined in the washer. 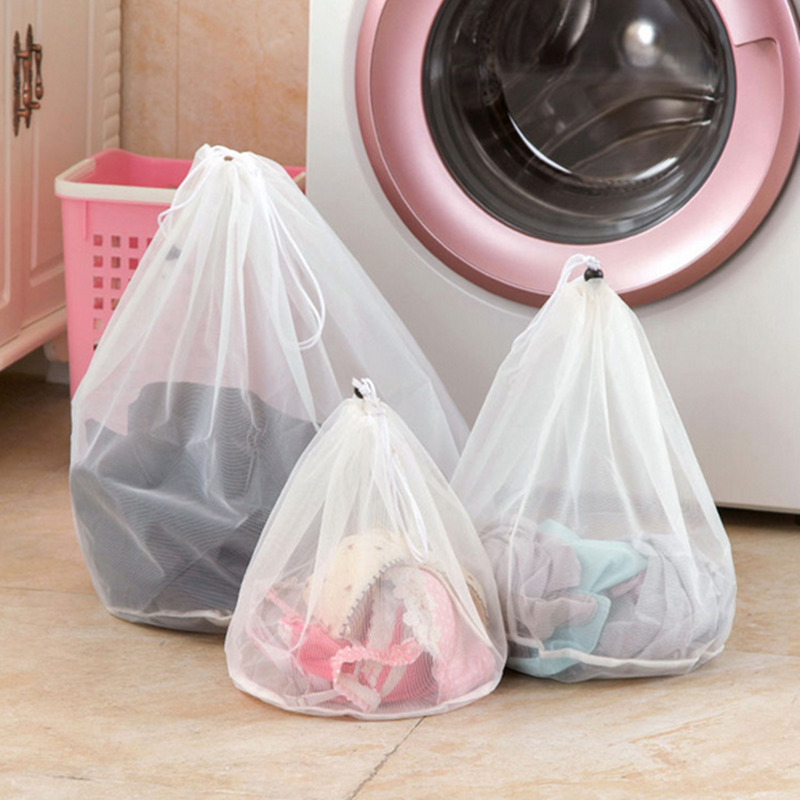 Thankfully, washing protection nets are a thing you can fully take advantage of! Darners used to be very popular for mending socks and they actually seem to have made a comeback in the past few years. If you are interested in owning a vintage sewing accessory then this might be the one you are looking for. Just like its name suggests, a snag repair needle is especially designed to fix threads that got pulled or snagged. It can work wonders on sweaters and other crocheted items. Needle grabbers are, in my opinion, a must – have in your sewing box. If you have slippery or constantly sweaty hands then these little pieces of rubber will make things a lot easier for you. Decorating is a big deal of sewing and making bias tapes is quite difficult if you do not have the right tools. Well, bias tape makers are like these magical little tools that you can use especially for that. I’ve always been a fan of purchasing sewing kits rather than getting each and every item separately because it saves a lot of time and it is far more convenient. If you don’t have a sewing machine with a buttonhole cutter function then you will certainly be able to appreciate how useful this tiny yet useful accessory can be. See how it works here. In order to avoid all this work you can use a simple and straight - forward compass cutter that allows you to cut perfect circles of fabric that you can use in various projects. 65. Chenille Cutter – It Can Improve Your Design! When it comes to decorating, especially baby blankets or toys and other home décor projects, chenille cutters are ideal for adding texture to various types of fabric. It is simple to use and it doesn’t take up any space. Art knives are generally used in decorating projects that involve leather or some other similar material. However, they work on a multitude of fabrics if you feel like yyou are up for some extra decorating fun. I have mentioned before that pencils and pens for fabric are quite important, but fabric erasers are equally important, because sometimes even when tracing a design you can make plenty of mistakes. Although it is not a sewing tool per se, but more of a quilting one, a Hera marker helps you to leave temporary creases in a fabric but without damaging it or leaving permanent marks. 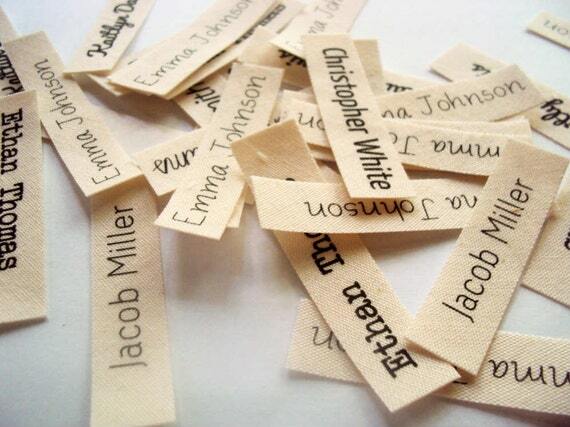 If you feel like giving your clothes or your projects a more personal touch then a name labeling kit is exactly what you need to add to your sewing toolbox. Ever since sewing machines were invented the fashion industry has drastically changed. Your skills and know – how will also drastically improve as soon as you get one and see just how much work it spares you of doing. If you thought that a sewing machine spares you of a lot of work then wait till you get your first serger. This type of machine does not only trim the seam but also encloses the edge of the fabric inside a thread casting. Sewing requires not only a lot of patience, but a lot of focus as well and in order to be able to concentrate on the things that you need to do the lighting needs to be just right. This is where the sewing light comes in. When sewing something from scratch and when trying to make a finished product that needs no further altering, you need to be prepared with every single item and accessory, including buttons. In order to remove the shank of any button, you need a specialized tool that can do a neat and decent job. That tool is called a button shank remover and it will help you out! This sewing accessory is actually one of the most common items used in clothing and even in home décor. It is an easy and simple way to join together two pieces of fabric and they also work great as decorative accessories. If you usually take on a lot of embroidery projects and sometimes find yourself in a situation where you have to cut individual woven threads then embroidery scissors are the specialized tool that you need because they have very sharp and bine blades which allow for perfect cuts. I particularly like thread clippers because they can be used in many different ways. They can cut the thread from your sewing machine, they can work as a seam ripper or even as a button shank remover. 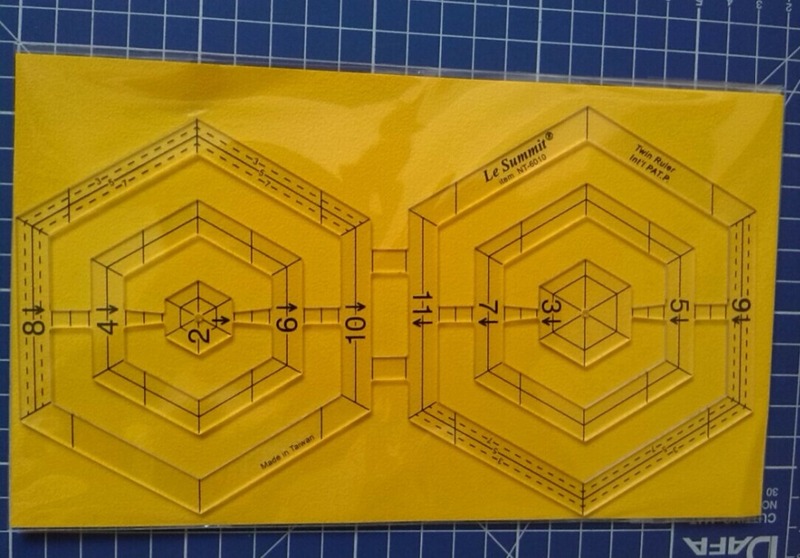 A hexagon ruler is generally used in quilting more than in sewing and it allows you to measure and cut various shapes and sizes as it has multiple markings on it where you can cut the fabric. 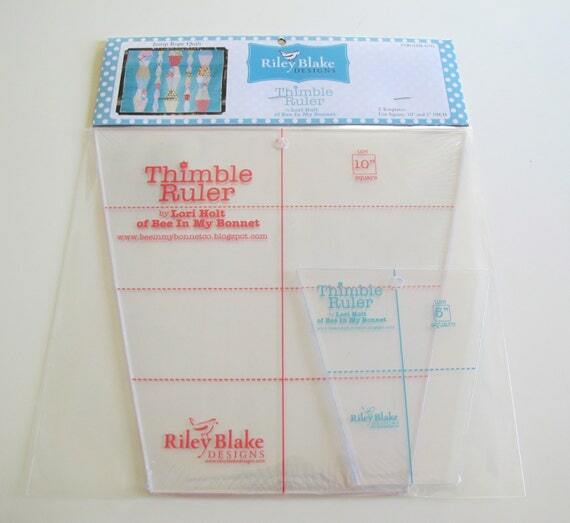 The thimble ruler is yet another measuring instrument. I personally don’t believe it to be essential, especially if you already have other alternatives, but it sure doesn’t hurt to have it somewhere handy. 80. Circle Ruler – Now This You Will Love! The circle ruler plays no games and actually does what is says it does. It measures the fabric that you need to roll up into a circle. There are many available sizes for you to choose from. Whenever you are working with a type of fabric that easily frays you should have some fray check solution somewhere handy. This solution stops delicate fabrics from unraveling at least until you are finished serging the edges. Every self - respecting tailor has his or her own dress form to work on and if you are serious about sewing and making your own garments then you should also get one as soon as possible. So that would pretty much be my list of the best sewing tools notions and equipment. What do you guys think? Was there something I’ve missed? If you have something in your toolbox that isn’t on the list then don’t hesitate to comment so that we can expand it. You can also share this article so we can hopefully make things easier for beginners like we all were at some point.